TUFF-BLOCK General Purpose Nylon Scrub Brush - Plastic Block - 15" Dia. TUFF-BLOCK General Purpose Polypropylene Scrub Brush - 15" Dia. 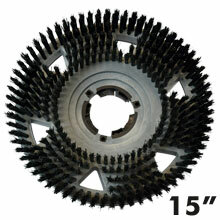 UNI-BLOCK Showerfeed Poly Scrub Brush w/ Universal Clutch Plate - 15" Dia. 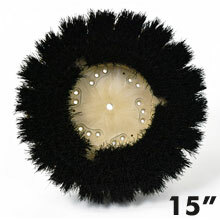 SPINSAFE Carpet Scrubbing Brush - 15" Dia. TUFF-BLOCK Carpet Shampoo Scrub Brush - Wood Block - 15" Dia. TUFF-BLOCK Carpet Shampoo Scrub Brush - 15" Dia. 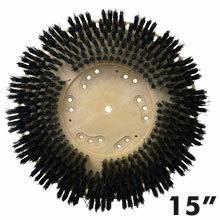 Mal-Grit Lite Light Duty Scrubbing Brush - 500 Grit, 15" Dia. 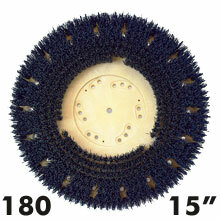 CLEAN-GRIT Rotary Medium Scrubbing Brush - 180 Grit, 15" Dia. 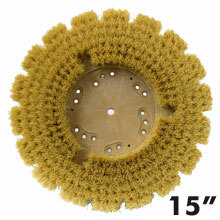 UNI-BLOCK Showerfeed Scrubbing Brush w/ Universal Clutch Plate - 120 Grit, 15" Dia. 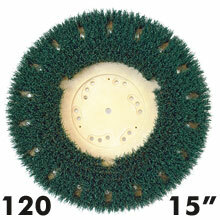 Mal-Grit Scrub Grit Rotary Scrubbing Brush - 120 Grit, 15" Dia. 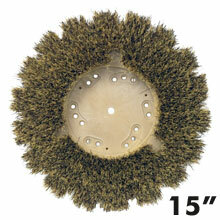 Mal-Grit Grit Rotary Stripping Brush - 80 Grit, 15" Dia. 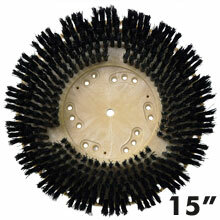 UNI-BLOCK Showerfeed Stripping Brush w/ Universal Clutch Plate - 80 Grit, 15" Dia. 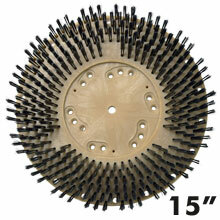 Bassine Showerfeed Scrubbing Brush - Plastic Block - 15" Dia. 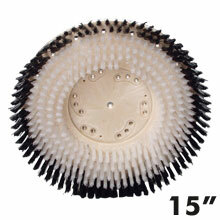 Union Mix Showerfeed Polishing Brush - Plastic Block - 15" Dia. 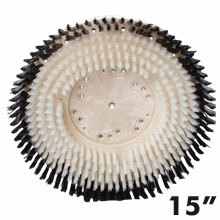 White Tampico Polishing Brush - Plastic Block - 15" Dia. 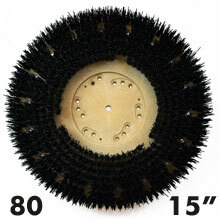 Flat Butcher Wire Concrete Scarifying Brush - 15" Dia. TUFF-BLOCK General Purpose Concrete Scrub Brush - Plastic Block - 15" Dia. 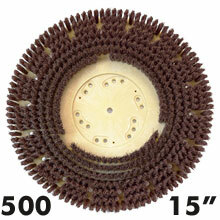 Nylon - This type of scrubbing brush are the most flexible with the longest life. 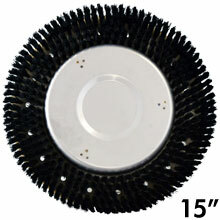 Polypropylene - A scrubbing brush that is a economical alternative to nylon. Carpet Shampoo Brushes - The two outer rows are heavier to scrub the carpet while the softer inner rows “massage“ the dirt from the carpet for a deeper cleaning action. MAL-GRIT - Silicone nylon grit brushes for scrubbing of a variety of tiles, marble, terrazzo, grout lines and non-slip epoxy finishes. 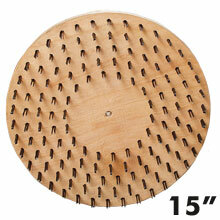 Bassine - Bassine is used for general scrubbing purposes. 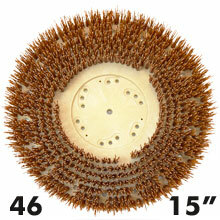 Water absorption properties make this an excellent, low cost choice for hard surface scrubbing. Union Mix - A combination of Palmyra and White Tampico used in hard surface polishing applications. White Tampico - 100% White Tampico is naturally acid resistant. That makes this the ideal choice for use in the marble polishing industry. Steel Wire - The most aggressive of the series, for use on unfinished concrete surfaces. 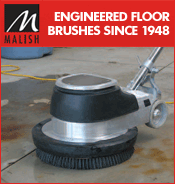 The Brush Division produces staple-set rotary brushes and engineered pad driver systems for floor cleaning equipment used within the sanitary maintenance industry. Supported by a strong engineering and product design department, the Brush Division also has the ability to produce specialty brushes for such applications as de-burring, concrete texturing and static control.